Bear has joined the list of go-to names for celebrity parents. Will it catch on for not-so-famous families, too? Our Baby Name of the Day comes from Liam Payne’s new arrival. Look in the dictionary, and you’ll find two very different definitions. The first comes from the Old English beran – to bring forth. We can beran arms, or we might be asked to beran something in mind. But most of the time, this word brings to mind a particular beast. In most languages, it relates to the word for brown, as in fur. Though the ages, the creatures have inspired names galore. Arthur may derive from a Celtic name for the animal; Bernard and Orson most certainly share the meaning. Ursula comes from the Latin ursus, and all of the Theodore names feel at least a little ursine, thanks to the teddy bear, named because former President Theodore Roosevelt refused to shoot a cub on a hunting trip. From pandas to polar bears, various species are found all over the world. If you’re big and gruff, you might acquire this as a nickname, too. The constellations, Ursa Major and Minor, come from Greek myth. The nymph Callisto resisted Zeus’s advances. Until she didn’t. A furious Hera (or sometimes Artemis) turned her into a bear as punishment, and Zeus placed her among the stars. Their son, Arcas, takes his name from the Greek word for bear – arktos. We’ve hunted them for generations, but we’ve also trained them to dance. They appear in the Bible, and several saints were said to have tamed them. From Goldilocks to more modern stories, children’s tales are packed with lovable bears. There’s Paddington and Pooh, Yogi and Teddy Ruxpin, Smokey and Kung Fu Panda. 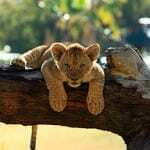 All of this makes for a study in contrasts: the cuddly cub, the powerful predator. The name’s dual nature might be part of its appeal. And yet none of this explains how Bear went from animal to appellation. Paul William Bryant picked up the nickname Bear when he agreed to wrestle one during a carnival. Young Bryant was all of thirteen years old at the time. He went on to become the University of Alabama’s head football coach for a quarter of a century, winning six national championships along the way. The legendary coach was rarely referred to as Paul. In 2006, Discovery Channel’s Man Versus Wild introduced us to Bear Grylls – birth name Edward Michael. The survival expert remains in the spotlight more than a decade later. The name debuted on the Social Security lists back in 1975, with six boys. That’s after Bryant’s fourth national championship, but before his fifth. Grylls made a bigger impact. 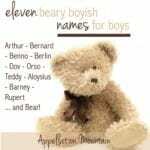 No more than ten boys received the name in a single year until 2007, when two dozen boys were named Bear – one year after Man Versus Wild debuted. By 2008, that number doubled to 48. It continues to climb, with 186 newborn boys receiving the name in 2016. Alicia Silverstone, Kate Winslet, and now Liam Payne have chosen the name during that time. Celebrity chef Jamie Oliver welcomed Buddy Bear in 2010. Animal names have gone from wild to almost mainstream. Credit our affection for nature names. With Fox debuting in the US Top 1000 last year, Bear could be next. What do you think of animal names in general? How ’bout this one? 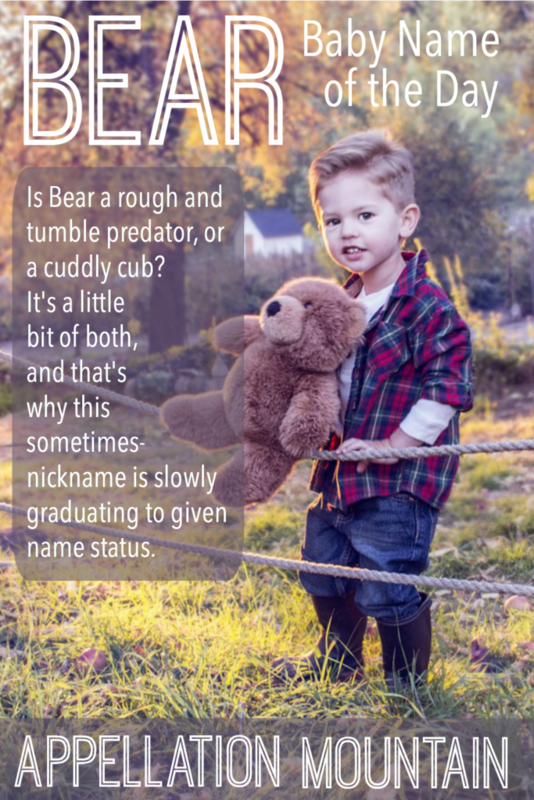 I was always called “Clare Bear” growing up and have heard others called similar, including a “Sarah Bear”, so I like Bear as a nickname or a fun first name that would need a more serious middle. I have considered a bear-related name such as Arthur for a son to honour my Dad who used my nickname most often. Ursula is still the villain from the Little Mermaid to me. Just a heads up- Hera’s Roman name is Juno, while Artemis’s Roman name is Diana! They are separate goddesses. Hera and Artemis are the Greek names. Love it! Even have considered it for my own children. It might be difficult to wear if a fellow is undersize and gangly. If parents were U of Arizona grads, I could see them choosing it from the chant “bear down” (AKA persevere, win, knuckle down). Best left as a nickname. When I hear “bear,” I think grouchy, hairy, stinky, and sleeps a lot. This accurately describes a teenage boy, but hopefully less so an adult man. I don’t think one man’s nickname makes the nickname usable for all.